Electronic Designs by SEBA offers an assembly service. 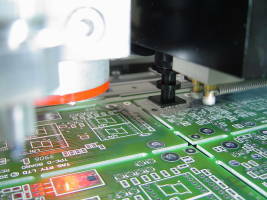 Our equipment can assemble PCB's with components as small as 0201 and 0.4mm BGA's. We can build your PCB's with either your own parts or provide the parts for you. We can also provide testing for the boards we make for you to your test requirements.